Youth for Christ in Thailand has been praying for opportunities to reach more communities of young people with the Gospel, particularly in provinces where they currently do not have ministry centres. 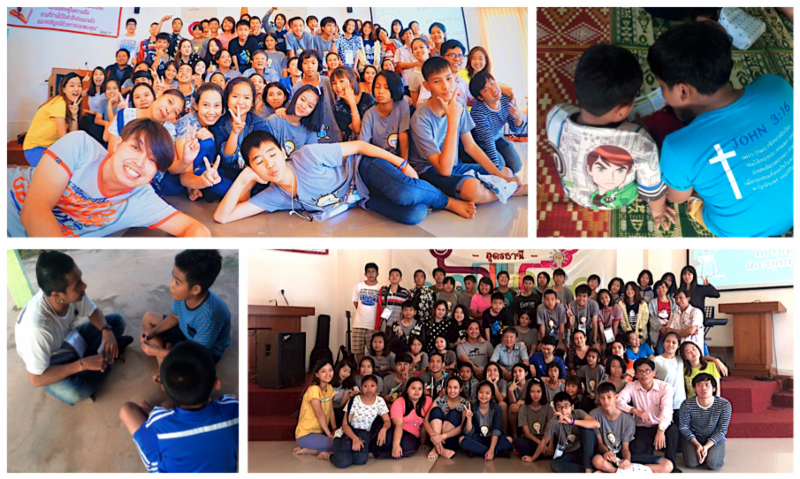 Last month God opened doors to partner with local churches in Udon Thani in the Northeastern part of Thailand by holding a Young Evangelist Camp that was attended by 43 youth. During this camp the campers learned ways to share the Gospel and were given an opportunity to evangelize in their local church areas for 4-5 days. The results of this camp were 80 new believers, 411 Gospel presentations, and 575 contacts. YFC Thailand staff are returning periodically to this province to continue the support of local church leaders and to encourage the newly formed “AntGroups”. We thank God for His miraculous working in and through this camp. Pray for the follow-up of these 80 new believers and the ongoing discipleship of the campers that they would continue in sharing Christ to their friends. Thank God for the opportunities Youth for Christ has to partner with local churches and join their efforts in reaching out to the youth in their communities.